William Scott, Jr. was born on March 22, 1926, in Douglas, Texas. He transitioned on August 30, 2018, in Dallas, Texas, at age 92. William graduated from Abilene High School in 1944. He went on to attend Prairie View A&M College, where he focused on Engineering. He was later drafted in the United States Army. William was an ambulance driver in the Korean War. After being honorably discharged, he enjoyed a long-time career as an Aircraft Engine Mechanic at Aviall. After almost 40 years in aviation, he retired. He united in matrimony with the love of his life, Bernice Scott, on August 19, 1953. To their union, seven children were born: five sons and two daughters. The two, who affectionately regarded each other as "Honeybunch", remained united for more than 64 years until her transition. Among many hobbies, William delighted in fishing, hunting, sitting on his porch, and gardening. A man with a green thumb, he was admired for his well-manicured garden. William most enjoyed spending time with his family. William was a longtime member of Hamilton Park United Methodist Church where he regularly attended until his transition. A hard-working, wise, strong, loving, and caring disciplinarian, William Scott will be dearly missed by all who knew and loved him. William was predeceased by his daughter, Bernetta Scott; son, Bernard Scott; and wife, Bernice Scott. 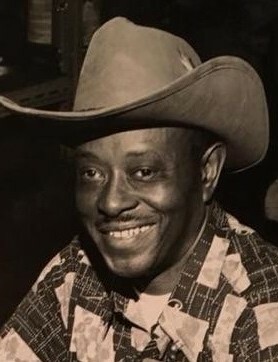 Those left to cherish precious memories include his son, Willie Paul Scott; son, Willie Scott and his wife, Priscilla; son, Kernard Scott and his wife, Gloria; son, Eric Scott; daughter, Carolyn Scott Kelley and her husband, Austin; son, Tim Scott and his wife, Grashia; daughter-in-law, Vergi Scott; 21 grandchildren; 24 great-grandchildren; siblings: Naomi Jones, Verna Mae Devorce, Imogene Roach, Jimmy Joe Scott, Ray Scott, and Ruthie Dews; and a host of other relatives and friends.